Fans of Jojo Moyes’ best-selling book ME BEFORE YOU have waited four years for the rom-com to hit the big screen. Back in 2012, the tearjerker won over the hearts of fans and critics alike, selling over six million copies worldwide so it came as no surprise when MGM picked up the film rights two years later, casting Emilia Clarke and Sam Claflin as the main characters. 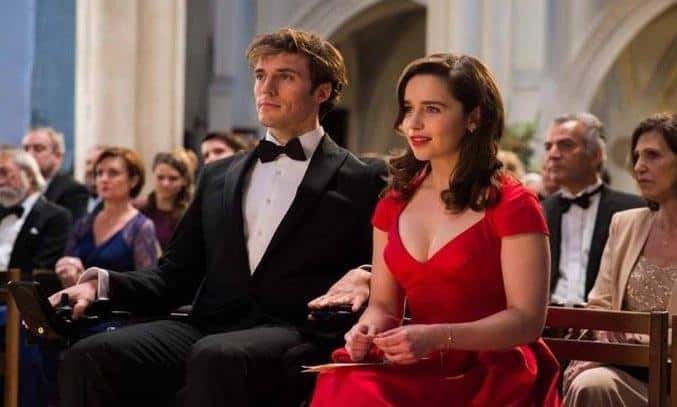 ME BEFORE YOU tells the story of Louisa “Lou” Clark (Emilia Clarke), a recently unemployed 26-year old who agrees to become a companion for the handsome William Traynor (Sam Clafin), a young banker whose promising career was tragically cut short when he was paralysed in a devastating accident. No longer the adventurous soul he once was, the now cynical Will has given up on life so when the optimistic and hapless Lou comes crashing into his life, the two don’t quite get along. It isn’t long however before an emotional connection soon develops and a romantic relationship blossoms between the two. Heart-warming, life-affirming and deeply emotional, ME BEFORE YOU is an unconventional romantic drama that will have you reaching for the tissues. Adapted for the screen by the original author Jojo Moyes, the plot focuses on the developing relationship between Lou and Will, rather than the morally complex issues of euthanasia which surround the central plot. Moyes’ charming script carefully balances humour with tragedy and her attention to detail, particularly when it comes to character development, makes it impossible for you not to fall in love with the main characters. Director Thea Sharrock does a decent job in her feature film directorial debut. There are some beautiful shots of the English countryside with Pembroke in Wales doubling for the English town where the novel is set, as well as some stunning shots of Mauritius and Paris. 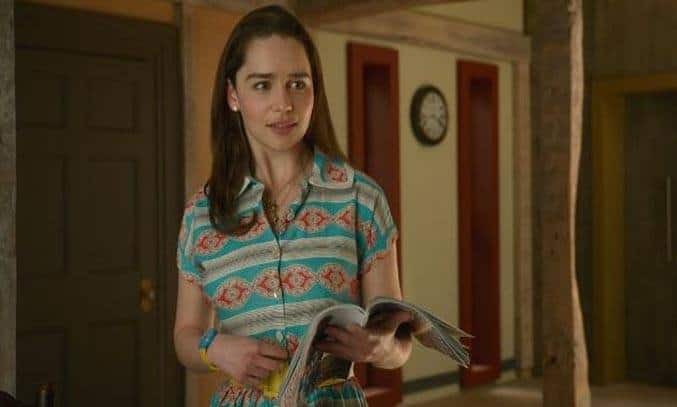 The film led is by GAME OF THRONES star Emilia Clarke, who puts in a delightful performance as Lou. Clark’s instant charm anchors the story perfectly and her well-rounded character resonates with the audience. Sam Clafin, best known for his role as Finnick Odair in THE HUNGER GAMES, puts in a strong performance as Will, the wealthy young banker whose whole world changed dramatically in the blink of an eye. Clafin spent a lot of time getting to grips with the physicality of the part and his attention to detail is apparent throughout the film. Additional cast gravitas comes from British actress Janet McTeer and fellow GAME OF THRONES star Charles Dance as William’s parents. DOCTOR WHO’s Jenna Coleman as Lou’s sister and Matthew Lewis as Lou’s boyfriend also provide interesting sub-characters to interact with. As expected from a click flick, there are some overly sentimental scenes and the plot is a little predictable at times. This is also a definite tearjerker – the fact that I was handed a pack of tissues on the way into the cinema reinforced this – so if you’re into soppy films, you might be best avoiding. That said, if you can cope with the sappiness and are willing to shed a few tears, there is plenty to like about ME BEFORE YOU. Ultimately, this is a film about adventure, love and making the most out of life and you can’t help but fail to be inspired by the story, even if the ending does break your heart a little bit.